As a Knight, you and your family have exclusive access to our top quality insurance products. In fact, no insurer in North America is more highly rated than the Knights of Columbus. As an organization founded to protect the well being of Catholic families, we have continued to take that mission seriously for more than 130 years. Generations of Catholics have counted on the Knights of Columbus, and in an increasingly turbulent world, you can trust the Knights of Columbus to affordably and securely protect the future of your loved ones and to be there when you need us most. 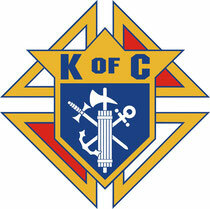 For 130 years the Knights of Columbus has provided all of the opportunities in this brochure and more for its members.